Ben and Jerry’s Going Vegan! 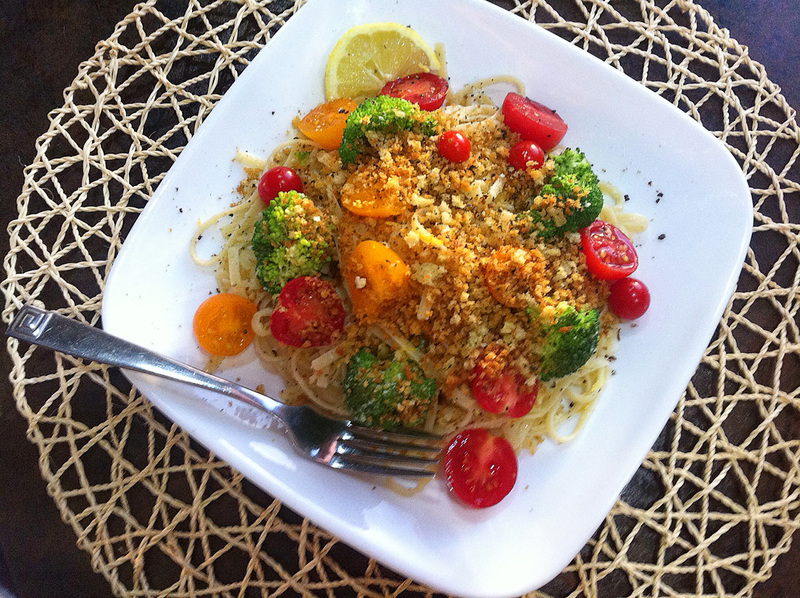 Inspired by a recipe on the Ohmyveggies.com blog last night, I decided to try a new twist on pasta using toasted Panko crumbs, garlic, lemon, and parmesan cheese as flavoring agents. I also added a few twists of cracked pepper and an amazing truffle salt. 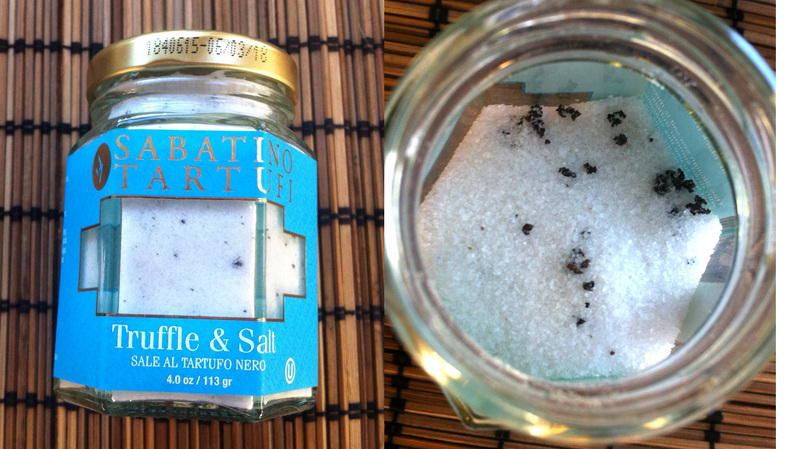 I think you’ll like how delicious and easy this dish is, especially if you get this truffle salt (!) and because you can blend in some fresh veggies to make it a complete meal. I used a Sicilian sea salt blended with dried summer truffles from Sabatini Tartufi, a truffle specialist from Sicily online at http://www.sabatinotruffles.com . But all Cost Plus World Market stores carry it for about $12 a bottle. It’s the best condiment investment I have ever made! Turns out I have something in common with Oprah Winfrey: we both love this salt! There is such an umami element to the flavor that it gives a savory lift to anything from soups to stews to eggs, pasta, you name it. I pick up some as gifts for friends whenever I am at Cost Plus and this time I also picked up their truffle-infused olive oil. Mama mia, that’s good too! The recipe requires one large pot for everything or use two if you want to speed up the process. Feel free to substitute other vegetables for the broccoli and cherry tomatoes. Asparagus and spinach come to mind with contrasting red-colored vegetables like red bell pepper, chopped into small pieces, or sun dried tomatoes. Bring a large pot of water to boil. Drop in the broccoli florets or other vegetables and boil 2-5 minutes until vegetables are al dente. No need to boil the cherry tomatoes, they can go into the dish raw. Scoop out and put into a bowl of cold water to stop the cooking process. Remove immediately from water and place in a large bowl once they are no longer scalding hot. Boil pasta in the same pot of hot water until slightly al dente, tasting a noodle for doneness now and then. Once tender, drain the pasta and plunge it into that bowl of cool water to stop the cooking process. Zest the entire lemon, removing only the yellow outer skin and none of the bitter white pith underneath it. Cut the lemon in half, remove seeds and reserve. In the same pot or a large skillet over medium-high flame, add 2 tablespoons of olive oil and half the minced garlic. Swirl around for about 30 seconds (the aroma will come up) then add Panko crumbs and keep them moving until they are toasted to a golden brown. Set aside and wipe out the pot or skillet with a paper towel to remove any leftover crumbs. In the same now clean pot over medium-high flame, add another 3 tablespoons of olive oil and the other half of the minced garlic. Swirl around for 30 seconds until redolent (the aroma will come up). Turn heat down a little. Immediately add the broccoli and cherry tomatoes and let them absorb some of the oil for a few seconds. Then add the cooled pasta to the pan, along with the lemon zest, the juice of one half lemon, the parmesan cheese, some salt and cracked pepper. Toss together everything lightly and top with the Panko crumbs and parsley and serve.